Both restless arm syndrome, as well as, restless leg syndrome is characterized by an uncomfortable tingling sensation, especially while resting. 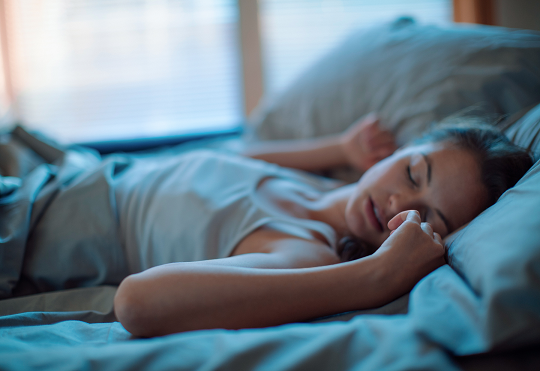 For this reason, restless arm and legs are a real problem while sleeping. First, the arms are affected and as the syndrome progresses the legs are affected too. Beside an uncomfortable tingling sensation, restless arm and legs are often accompanied by a feeling of something crawling beneath the skin. What Are the Common Symptoms of Restless Arms? The movements of arms will provide a sensation of relief. The symptoms tend to get worse while sitting or lying down, especially at night while sleeping. Normally this leads to sleep disturbances and insomnia. If a person does not sleep well at night then the next day he/she will not be able to handle the next day. Dizziness at daytime is also common. If the symptoms start appearing during the day, besides the night time, it means that the condition has progressed and that it has got worse. It has been estimated that nearly 50% of patients who suffer from restless arm syndrome, progress into restless leg syndrome. The severity of restless arm syndrome depends from mild, moderate to severe. What Are the Possible Causes of Restless Arms? The real reason is not known, as well as, it’s pathophysiology. It is believed that irregular hyperexcitability at the entire spinal cord or at certain parts of the cervical and lumbar part of the spine lead to sporadic arm and leg movements. Other findings support that dopaminergic activity and central involvement can lead to restless arm. An iron deficiency or iron absorption problems can lead to the onset of restless arm. When it comes to iron deficiency it is believed that it impairs the synthesis of dopamine, the binding affinity of dopamine receptors or the transportation of dopamine. However, until now no neurological impairments have been identified in the development of restless arm. Using certain medications such as antidepressants, antipsychotic medications, anti-allergic medications, anti-emetic medications, etc. Medications such as dopaminergic agents are commonly recommended for the treatment of restless arm syndrome as they work by increasing the levels of dopamine. Other medications prescribed for the treatment of this syndrome include opioids, anti – convulsants, levodopa, etc. Supplements such as iron supplements, magnesium supplements, folate supplements can reduce the severity and the intensity of restless arm. Watch what you take and limit the intake of tobacco, alcohol, and caffeine. If you suffer from restless arms than you should completely avoid taking these substances after 6 pm. Have a regular sleep pattern to reduce the symptoms of restless arm as much as possible. Try to go to bed at the same time every night and wake up at the same time the next morning. Make sure to sleep when you go to bed. Don’t bring your work with you in bed, nor don’t spend time checking your phone. Sleep in a room with the right temperature for a better sleep quality. You can also keep a sleep diary if this helps you track your sleep pattern. Massage your arms as massage can help reduce the symptoms of restless arm. Movement sometimes moving the affected arm can help you relieve the symptoms. However, often these symptoms return quickly after stopping arm movement. Applying heat or cold to the arms might be helpful when it comes to managing restless arms. An alternation of these two might be helpful as well. Remember not to apply heat or cold for a long period of time, not more than 10 minutes so you don’t end up with an injury. Regular physical exercise and muscle stretching during the day can help you control and prevent restless arm during the night. You can even stretch just before going to bed. A warm bath/shower or a cool bath/shower can be beneficial for some. Why don’t you give it a try as it might help you as well? Treat the underlying disease. As mentioned, restless arm syndrome is sometimes caused due to chronic medical conditions such as diabetes, renal problems, Parkinson’s disease, etc. A treatment of these chronic medical conditions and a good control can relieve the symptoms of restless arms as well.